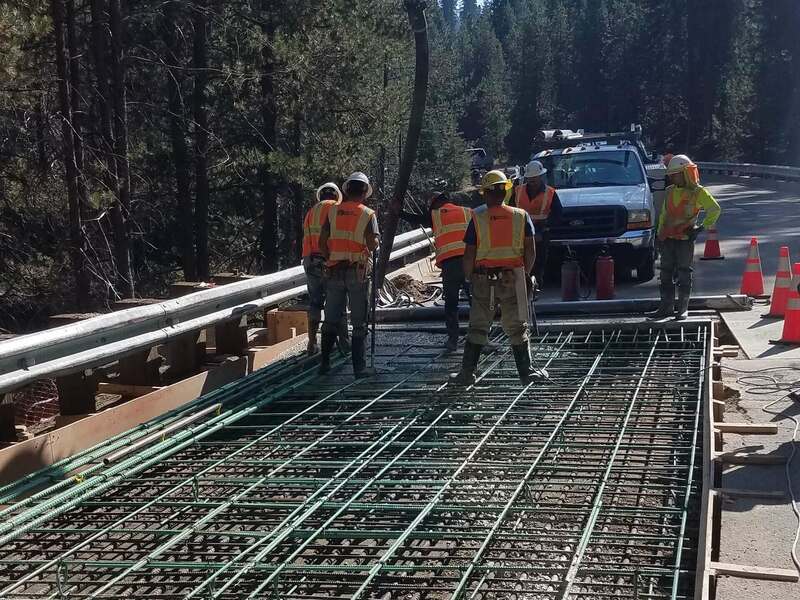 The Ice House Road at Jones Fork Silver Creek Bridge Maintenance and Rehabilitation Project on Ice House Rd. 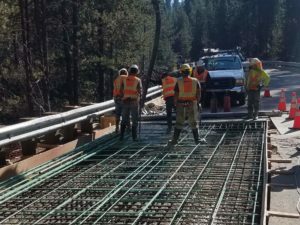 in El Dorado County had many unique aspects that required significant engineering and attention to detail. 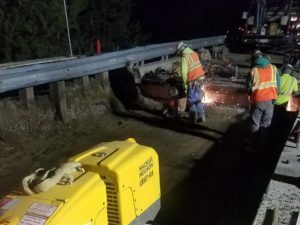 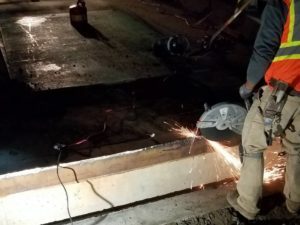 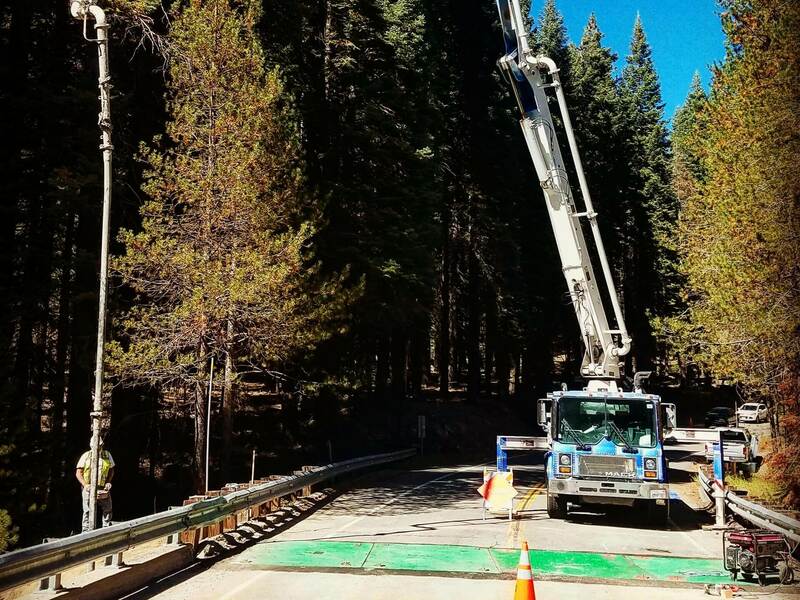 The work included replacing aged bridge bearing pads, replacing Structural Concrete Approach Slabs, and replacing the Metal Beam Guardrail Systems. Challenges include a remote location with one entrance and exit location to access the project, requiring thorough pre-planning to complete the project. 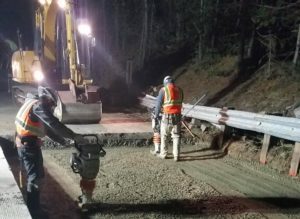 Other challenges faced while completing the project included hitting granite rock while drilling for the Guardrail Posts, requiring a redesign of the Guardrail to meet roadway specifications, while still being installed per manufacturer required specifications. 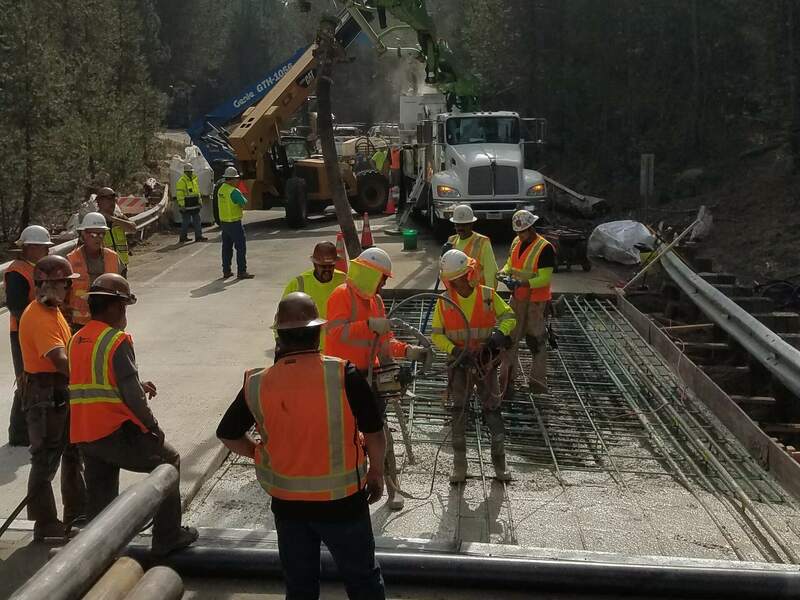 The approach slab concrete was rapid setting concrete because the bridge had to stay open during construction. 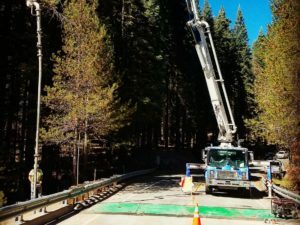 We had to jack up the bridge 1” and temporarily support the bridge during construction. Because of environmental requirements, no equipment could be used under the bridge which made all the work to be done manually.